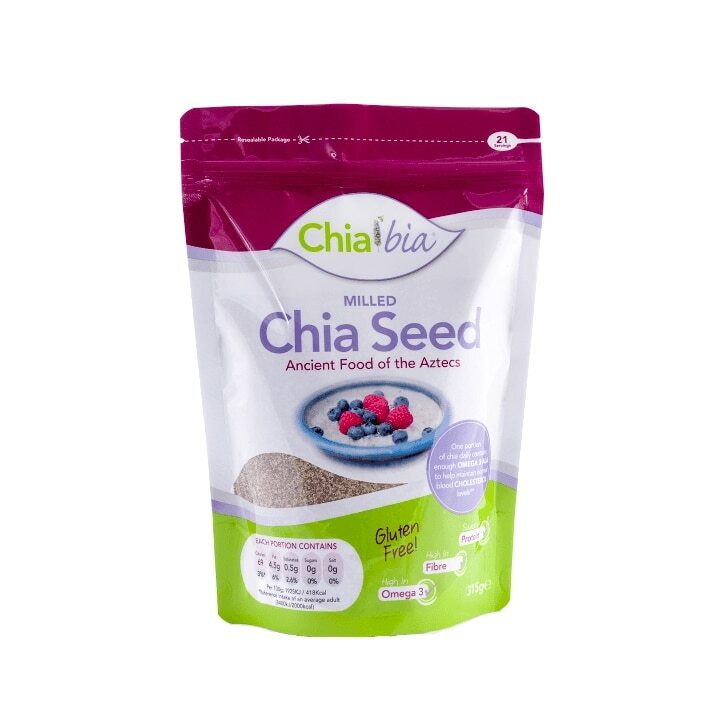 Chia Bia 100% Natural Milled Chia Seed is pure and simply chia seed, milled to a fine powder for easy use in drinks, foods, snacks and baking. 100% natural, vegan and gluten-free, chia seeds are one of the best sources of healthy omega-3 fats and a valuable source of fibre, calcium, iron, selenium and zinc. They provide a significant amount of protein, ideal for vegans and vegetarians. This milled powder is easy to use: add them to your favourite foods, mix into shakes and smoothies, sprinkle on porridge, soups or salads, or incorporate into healthy baking recipes. Chia Bia 100 Natural Milled Chia Seed is rated 4.6 out of 5 by 17. Rated 5 out of 5 by Raimonda from Great Quality! I really like this product and I am happy that found it in your story. Rated 3 out of 5 by CWD77 from Gave me an allergy Unable to continue using it. After only a couple of days I got stomach cramps and extremely bloated.